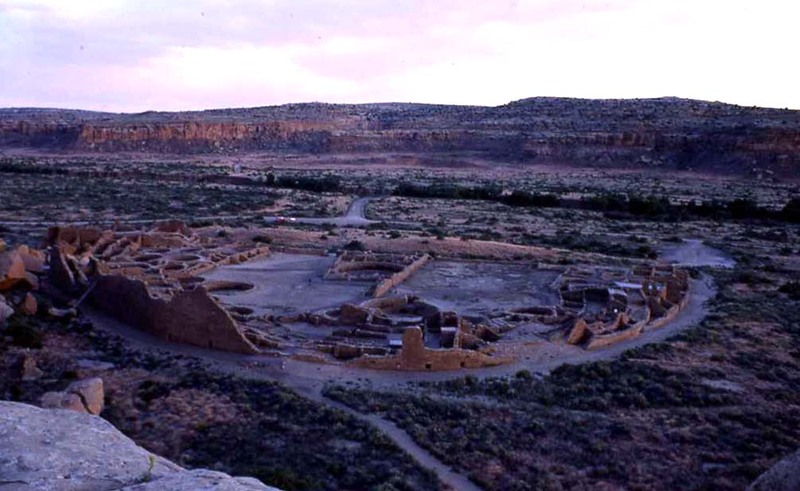 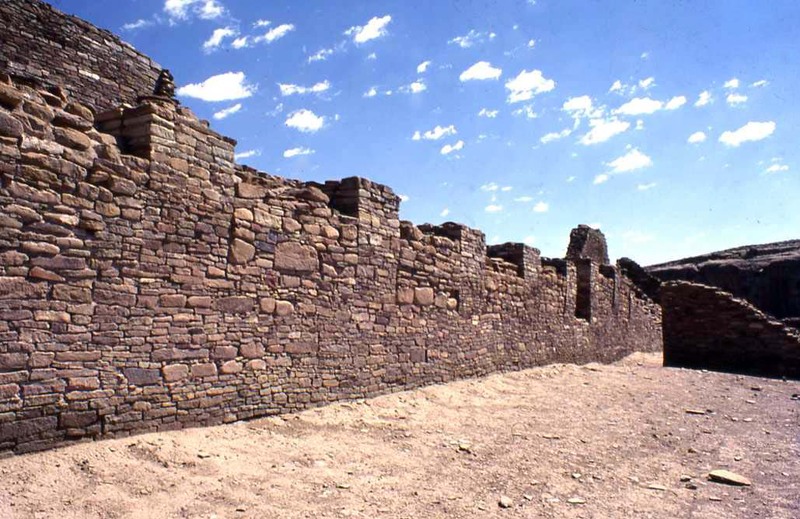 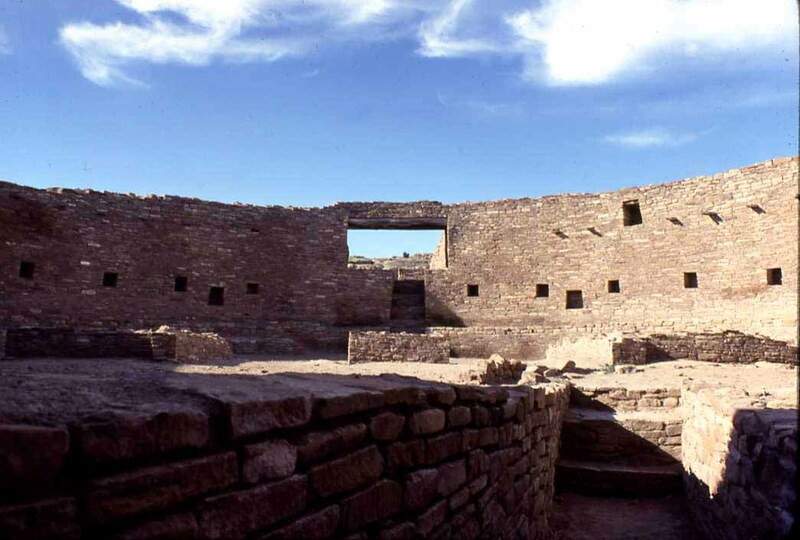 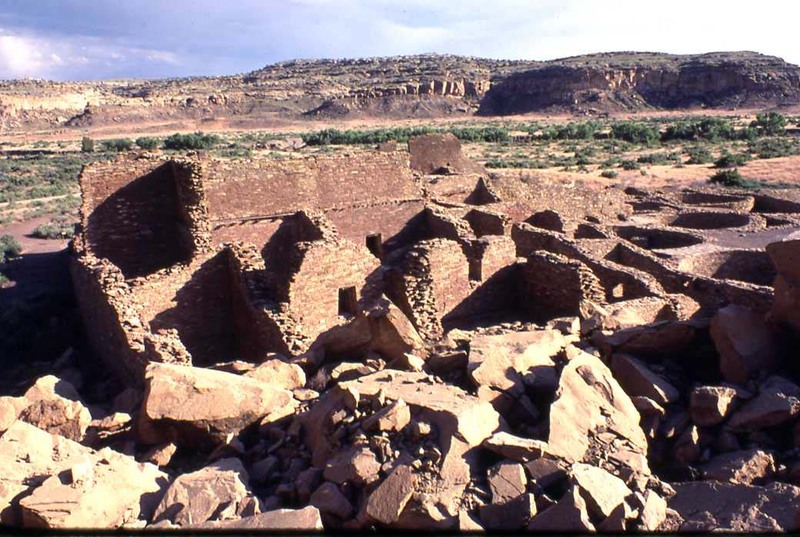 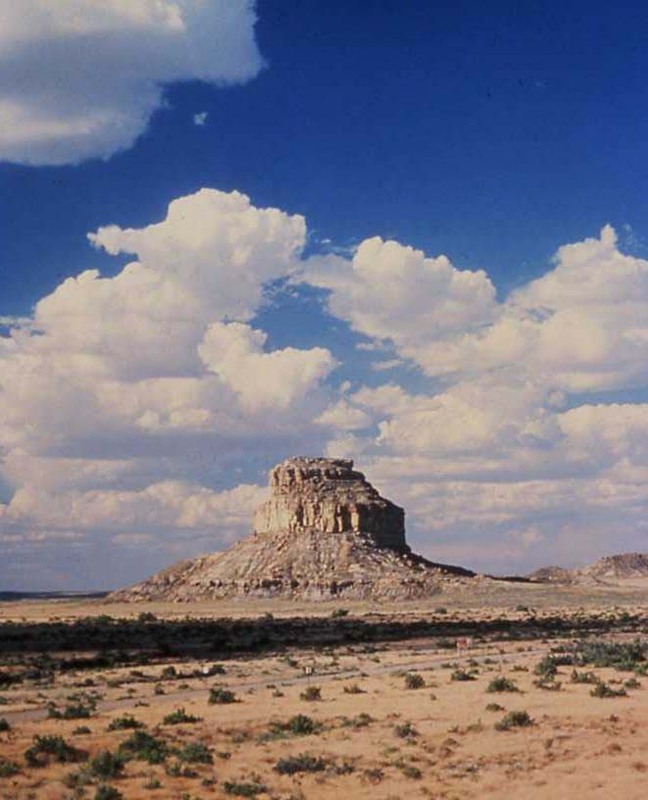 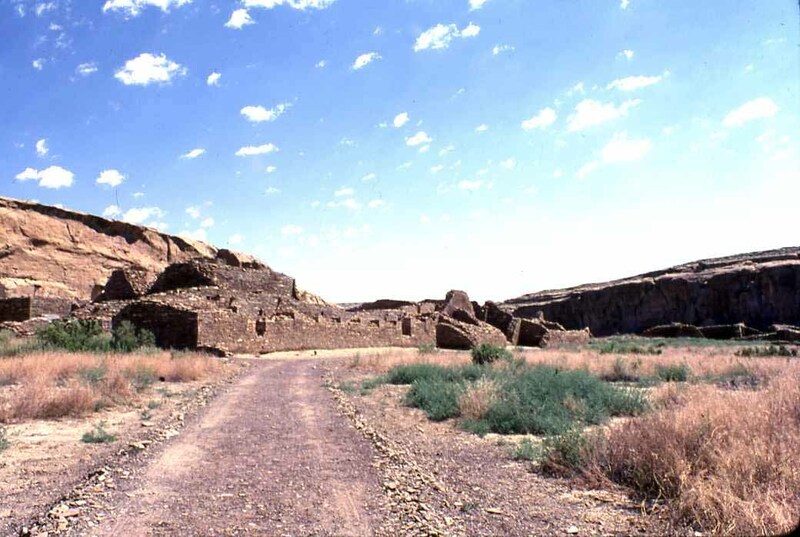 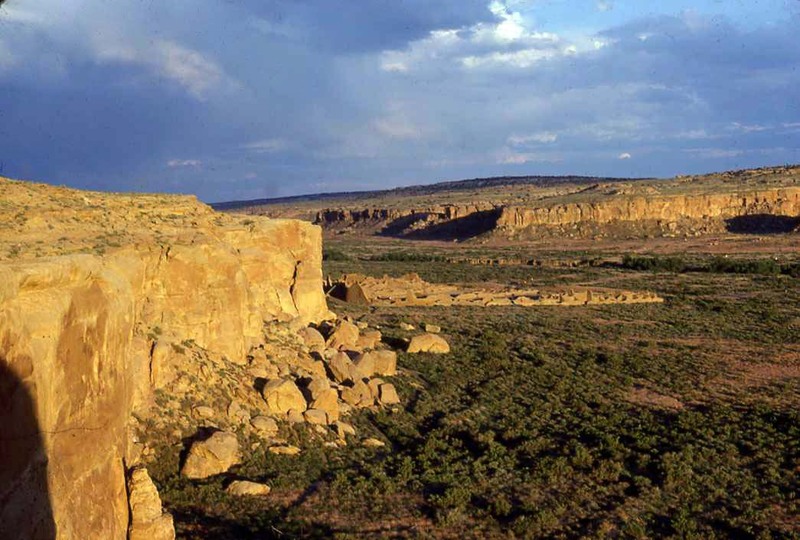 I photographed the ruins of Chaco Canyon while travelling in the Southwest during Summer of 1979. 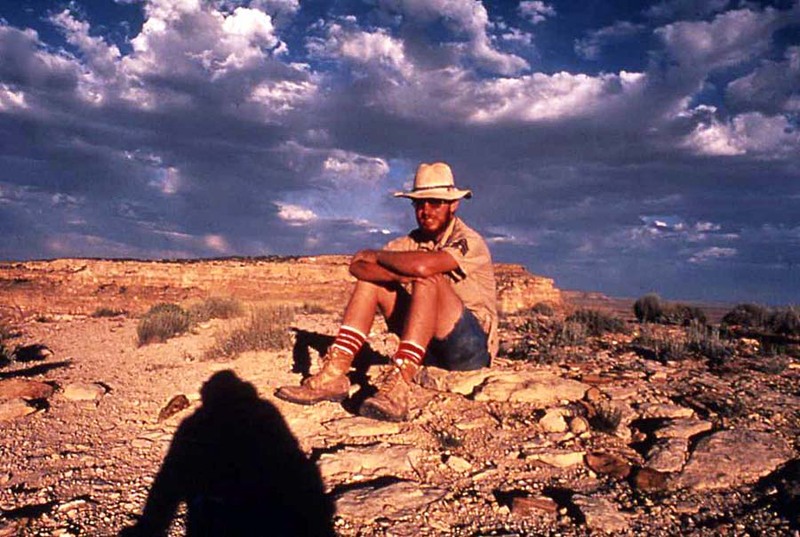 The trip was only made possible because David Massy (draftsman for the Center for Archaeological Research at Missouri State University) agreed to use his car as our expedition vehicle. 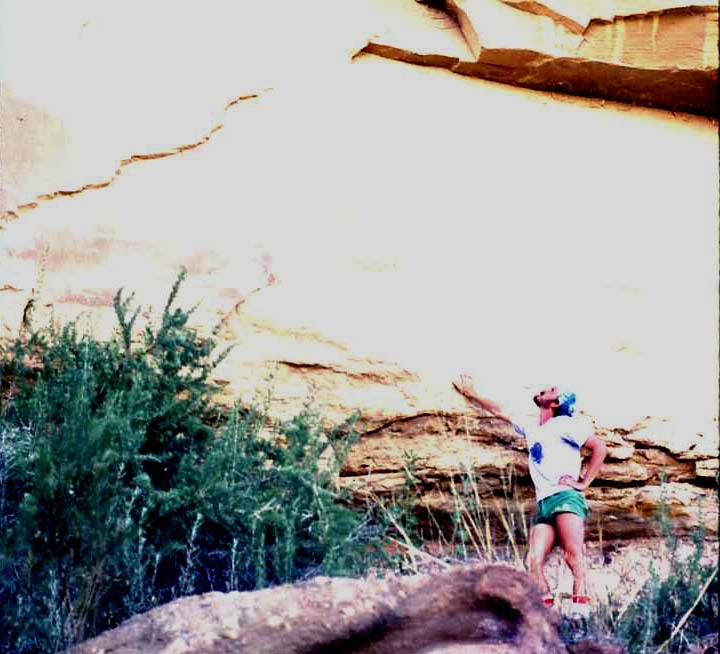 Fajada Butte when I climbed it with David Massey. 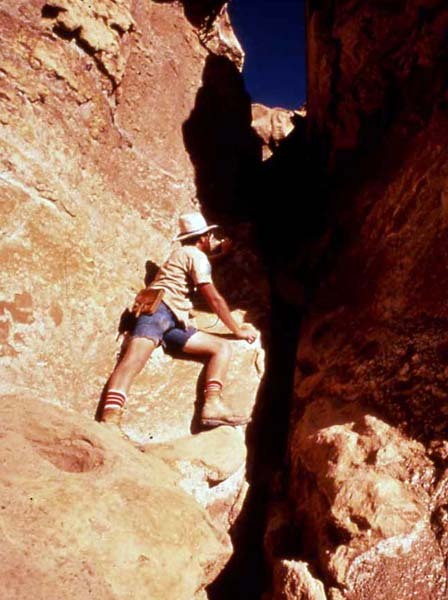 Yes, we had permission of the National Park Service in 1979. 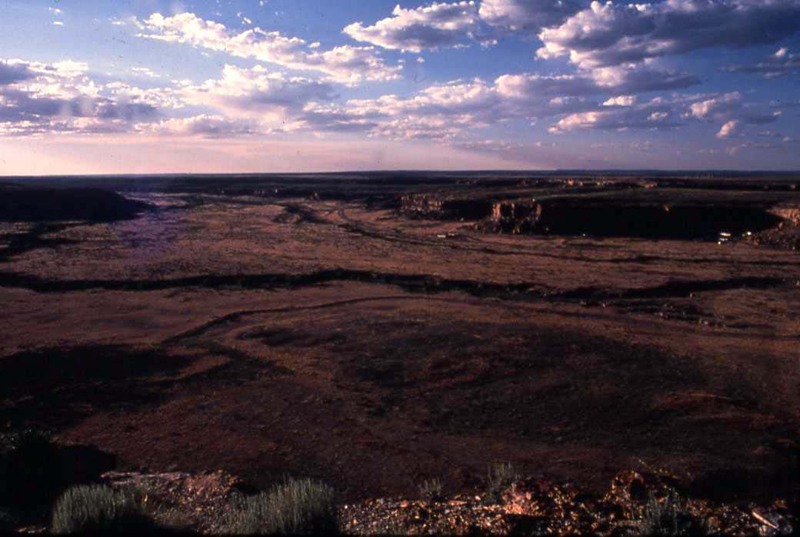 View from the top of Fajada Butte, photographed 1979. 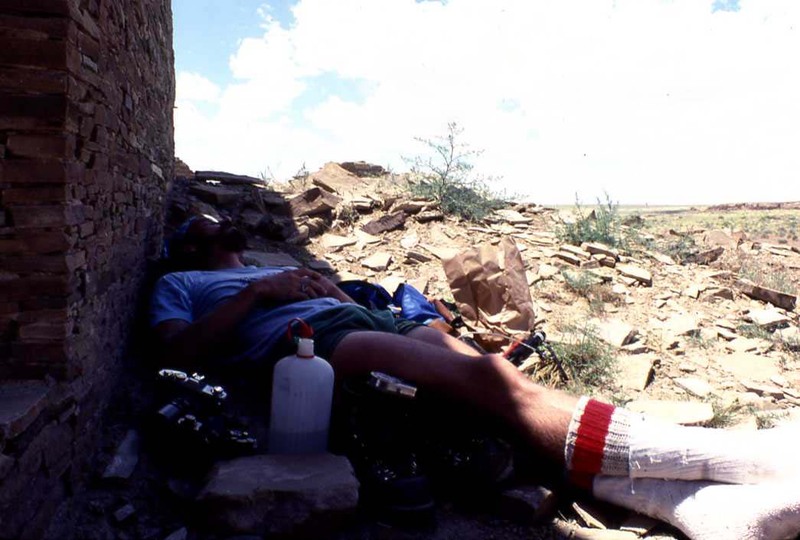 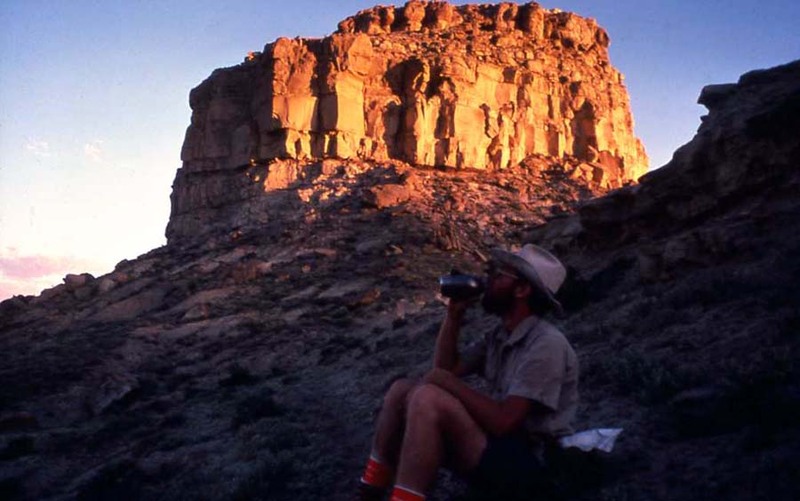 Finishing off my canteen of water after descending Fajada Butte, 1979. 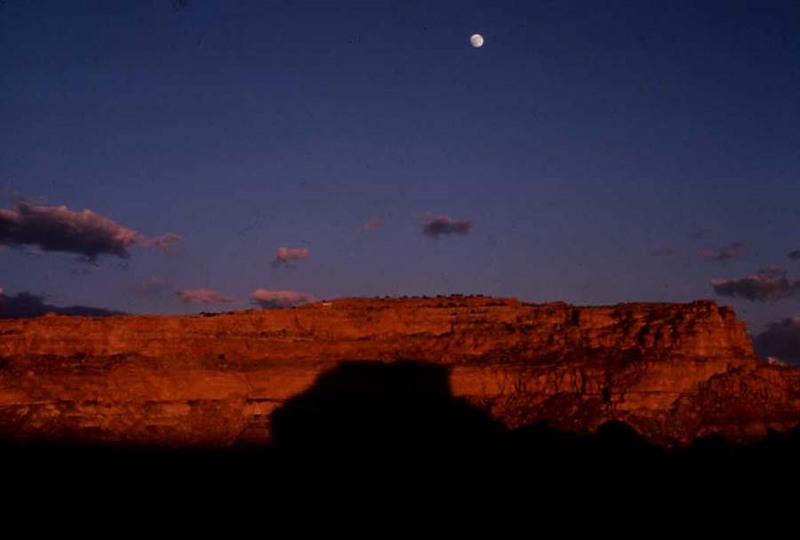 Shadow of Fajada Butte against the canyon wall with the moon in the sky, 1979. 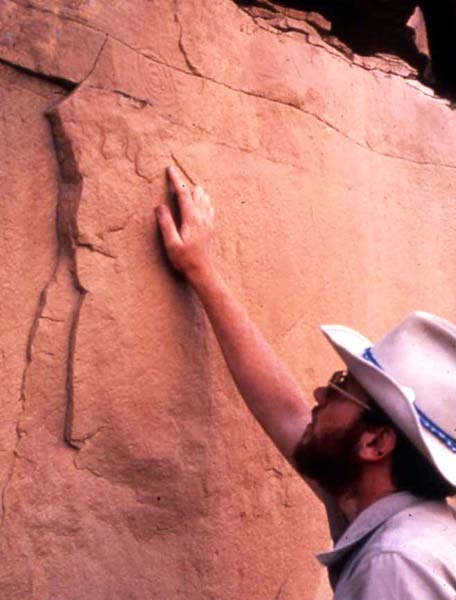 David Massey looks up at the famous painting of the super-nova pictograph at Penasco Blanco, 1979. 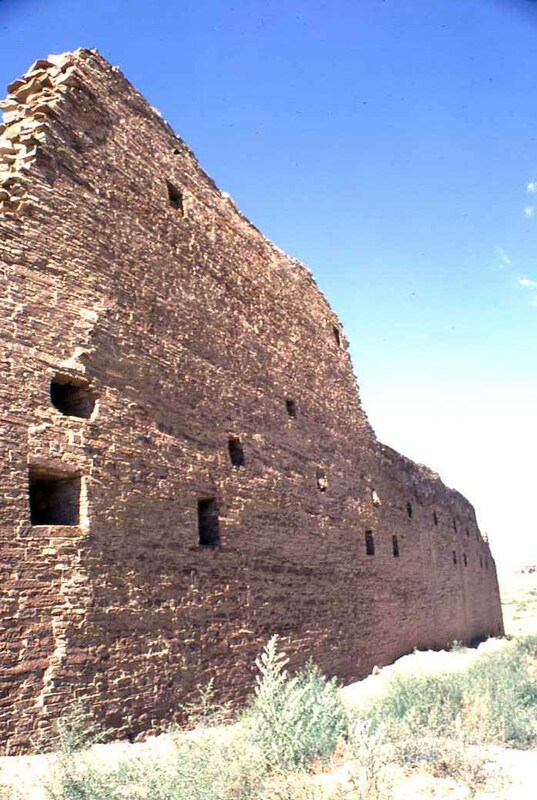 Exterior wall niches for offerings? 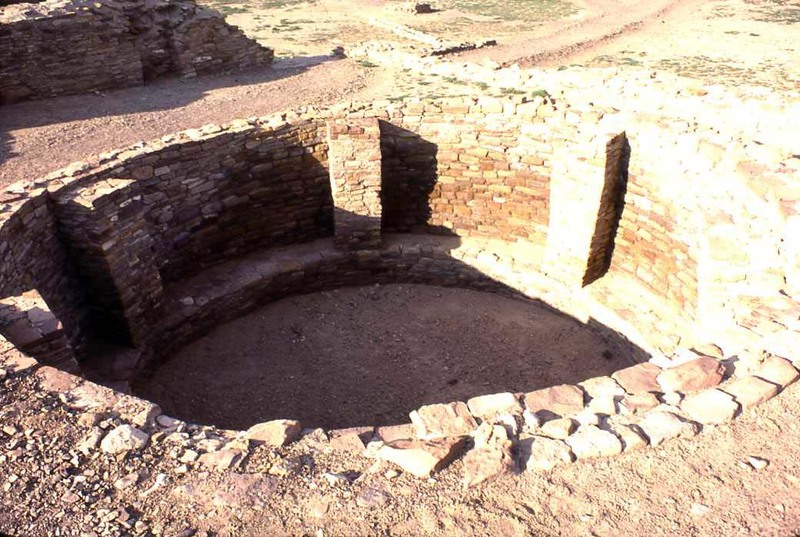 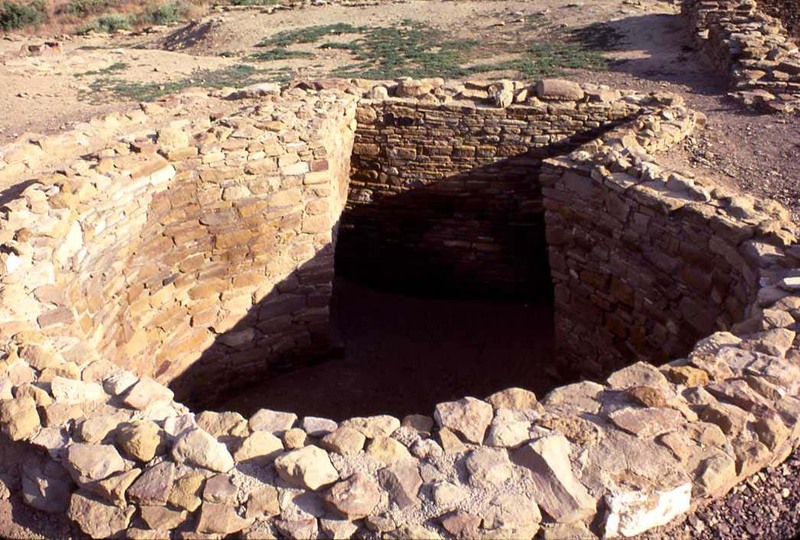 Small kiva with key-hole side chamber, photographed 1979. 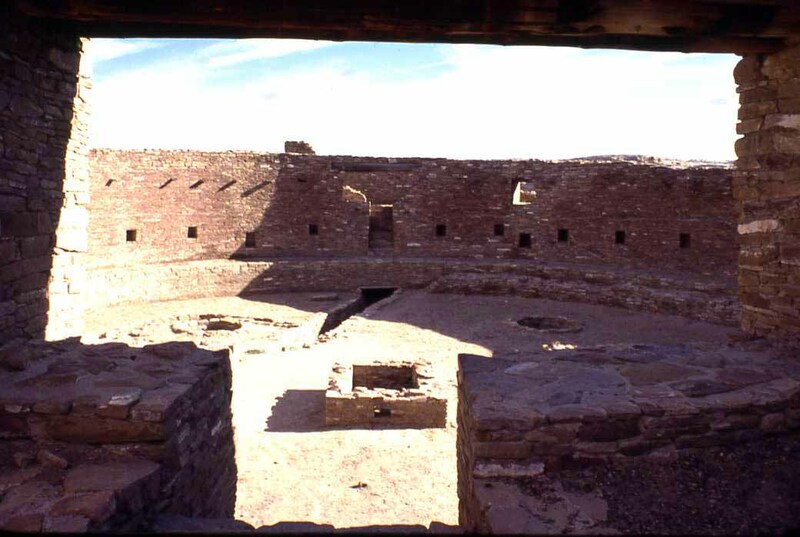 Pilastered kiva at Pueblo bonito, photographed 1979. 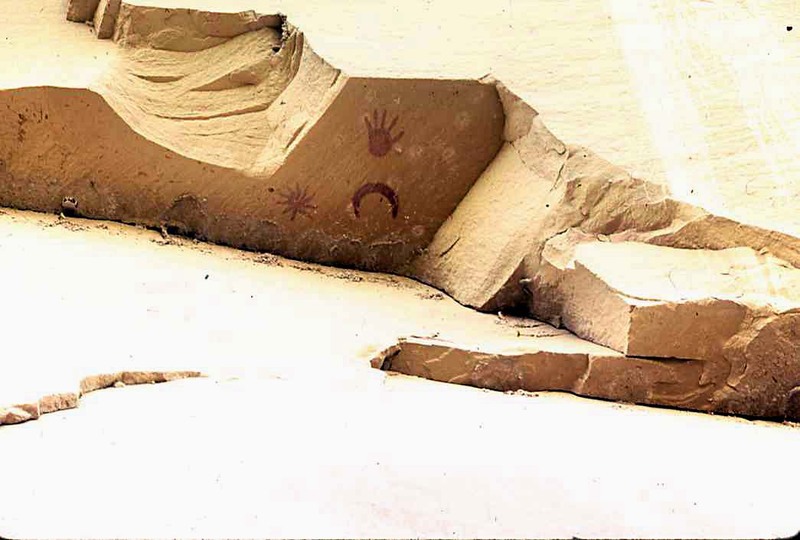 Detail of the filled colonade at Chetro Ketl, photographed 1979. 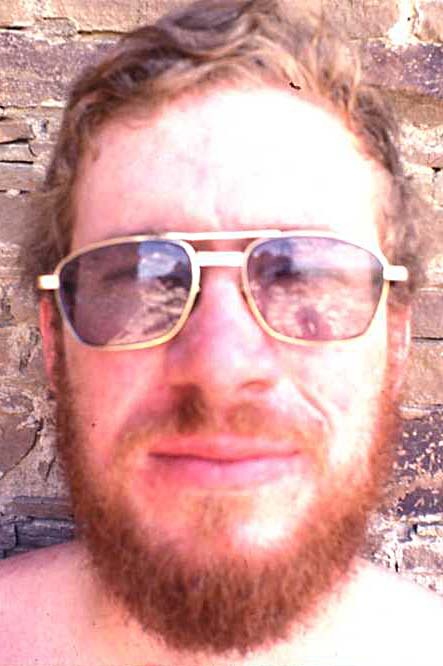 Chetro Ketl from away, photographed 1979. 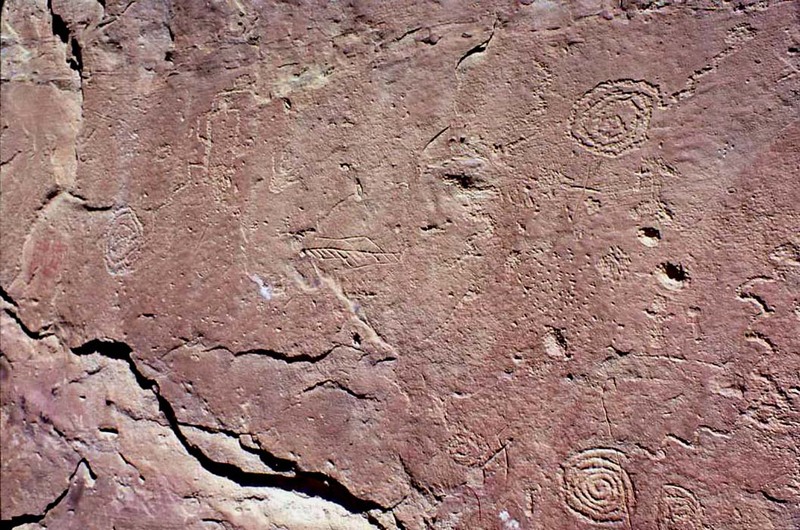 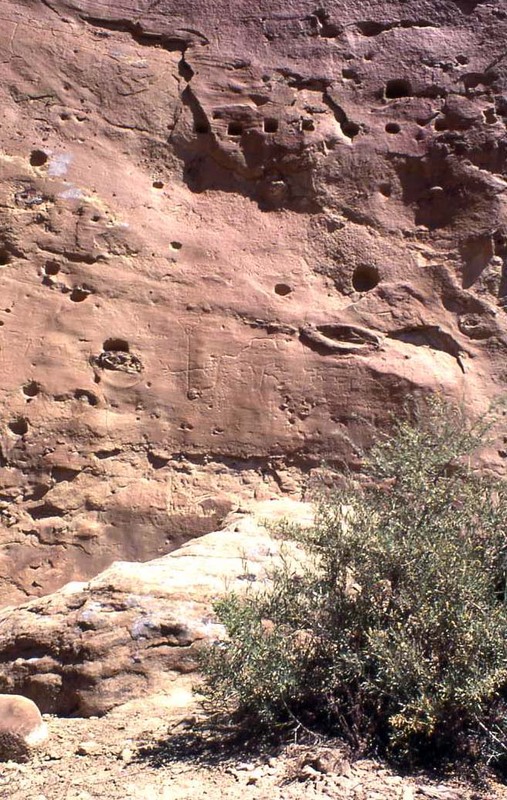 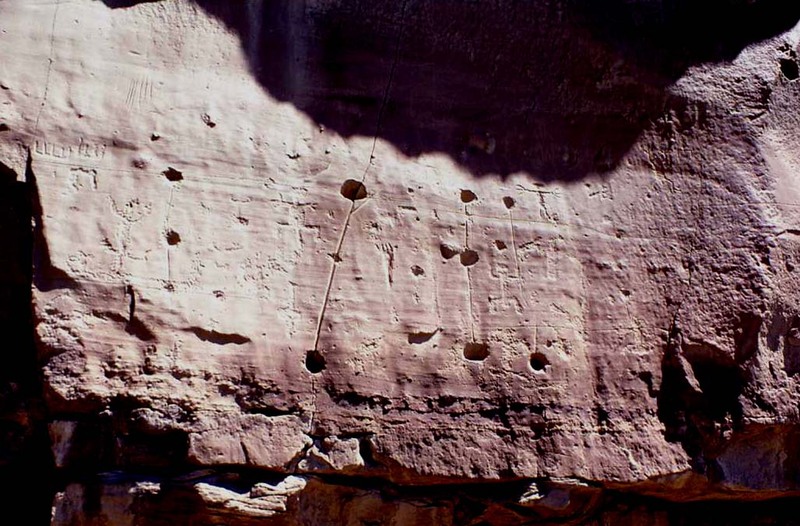 Petroglyphs behind Chetro Ketl, 1979. 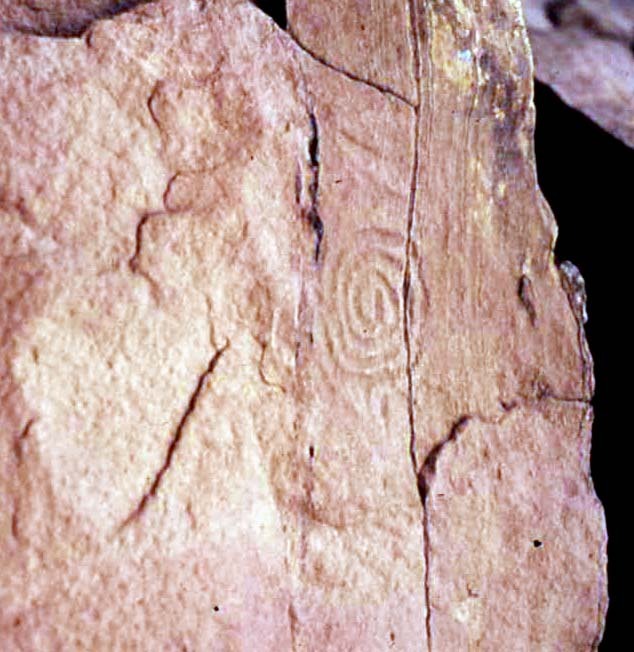 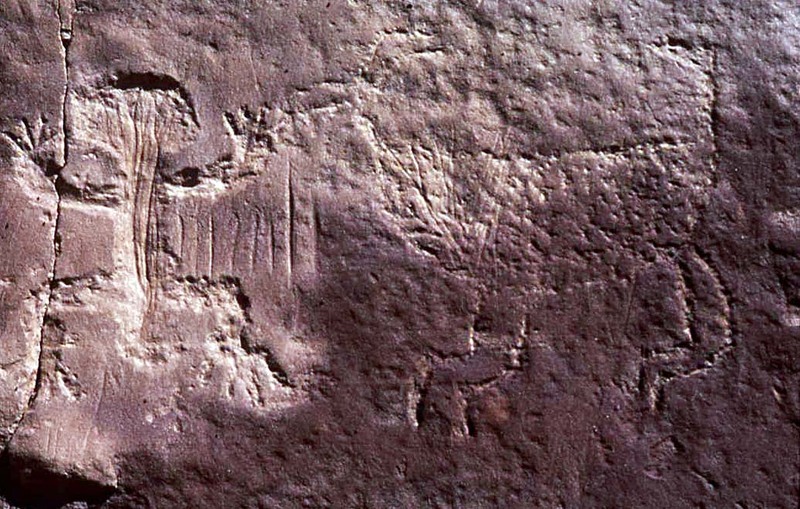 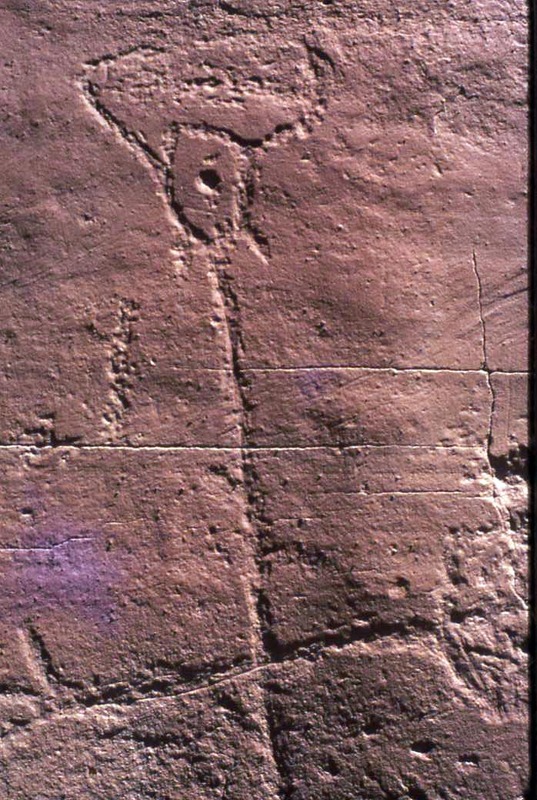 Petroglyph of a horned figure behind Chetro Ketl, 1979. 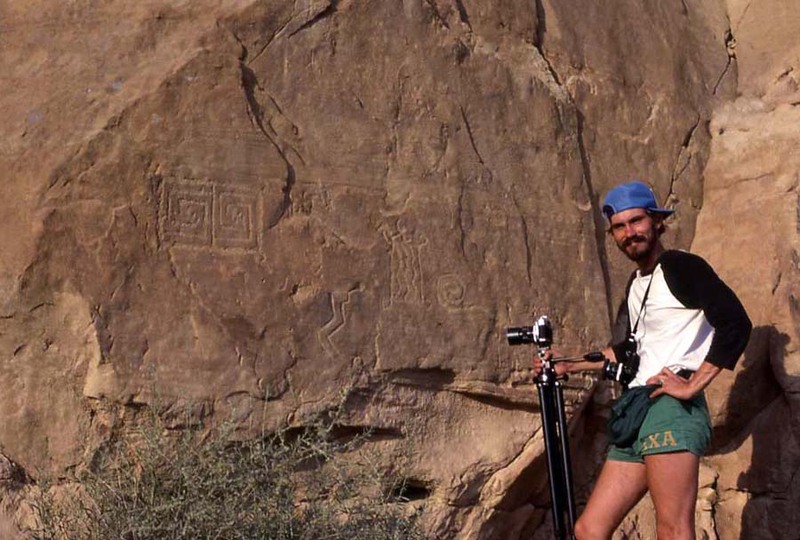 David Massey photographing the rock art in Chaco Canyon, 1979.